This puzzle is rated (moderate). 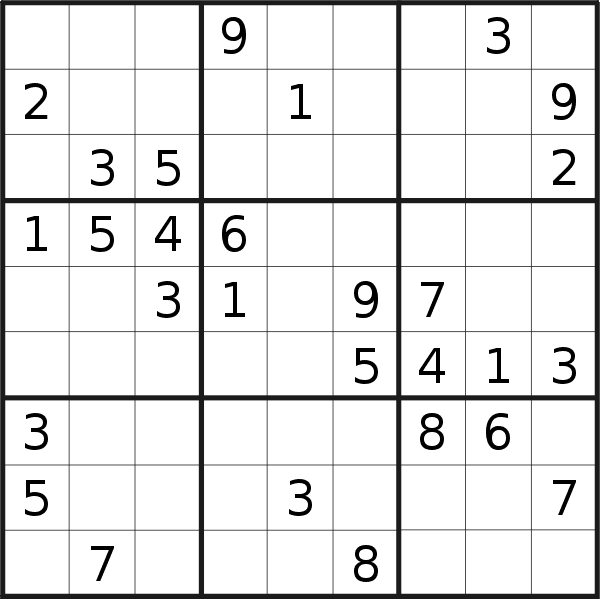 Moderate difficulty puzzles may require the use of a few more advanced techniques. You may need to use pencil markings to solve this puzzle.